Another history was made earlier this week when Dewan Bandaraya Kuala Lumpur demolished the infamous 100-year old Pudu jail in Kuala Lumpur to widen the roads in that area and to have plans for redevelopment. The move had aroused anger and disappointment in many people who appreciate places of history. Historic items must be preserved, according to them, who are convinced that Pudu jail was a historic site that could tell a lot of the nation’s stories. 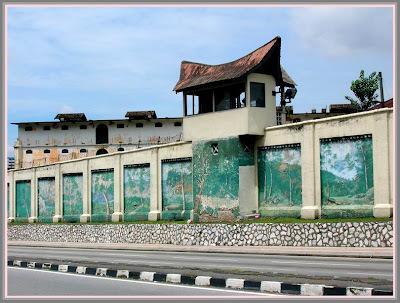 The jail that was built in 1891 was closed in 1996 when all the inmates were transferred to the new prison in Sg Buloh. From 1996 onwards, the former Jail was made a museum for a short period of time and then again in 2004 before it was closed for public. Is this a piece of art that should be treasured? I don’t really get the point of why people were being sentimental about this place. The fact that it’s old is one but there are many other things that are old and useless. Tower of London for example is a place of history that contains interesting stories of the English royals and the heads that were chopped (quite often) there. 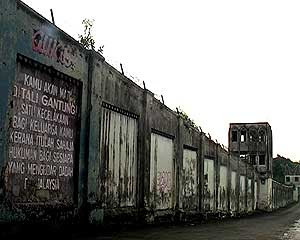 But, Pudu Jail to me was just a jail in the middle of the city centre that was not even kept well by the government and didn’t even house notorious criminals. Yeah, there are famous prisons such as the Rock, Chateau d'If in Marseilles and the one in the Devil’s Island of France that are now tourist attractions. But, for everything that needs to be preserved, it has to have values and it has to be taken care of. This place was ignored. Period. The protestors were talking so sentimentally about the mural. 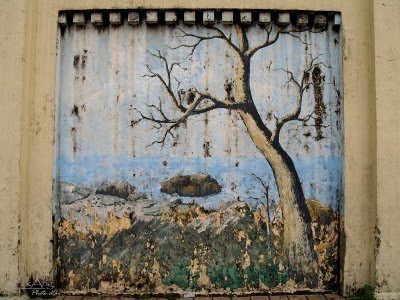 Yeah, it was great that the criminals were given something to do and some of them could paint but after so many years, the mural was worn down and it’s not an eye pleaser at all. It's not like it's Banksy's. In fact, those who championed this issue were not even looking at the mural when they passed the place before this issue surfaced. Should the government pay attention to the place? I vote yes but since they are not, why waste such space. I say conserve the places that have values to society and future generations. In this time and age, do something that has values for if not, it has no relevance. 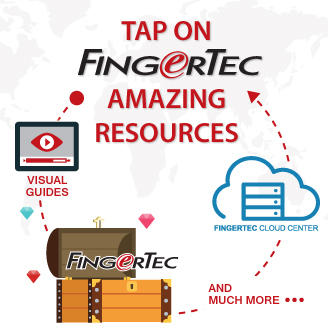 Coming back to FingerTec, we are always thinking about creating values for our customers. What’s the point of doing something if it has no values? The support micro sites currently are being used by our clients for sales and support materials. We do not want to follow other people’s moves blindly, just because. 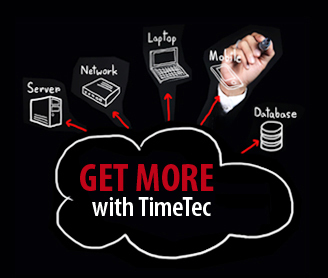 Our website is created in such a way for a purpose, we do not do according to normal business’s corporate website. Complains were lodged when we first introduced the website because people were not used to it. The newsletter is not for us to boast about our company and the brand but we offer information so that our resellers could pick up relevant news for their sales and marketing activities. We let our sales and support personnel standby online in case you need them to assist you swiftly, not just available icons to indicate there’s someone online when in fact it is none. In short, whatever we do, the plan is to offer value added services to all our clients. If it has no purpose, stop it. 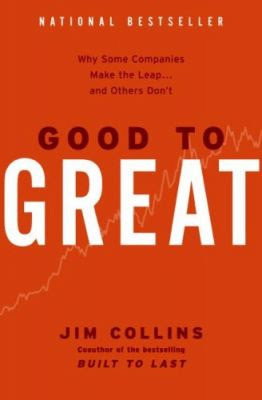 “Built to Last” and “Good to Great” are the two-bestselling corporate titles written by Jim Collins. Both books are interrelated, centered on how great-companies triumph over time and how long-term sustained performance can be engineered into DNA of an enterprise. I couldn’t agree more on most of the contents of the books and indeed, those are the ideals that I uphold at all times to run this company. But irrespective of how great a book is, inevitably it still would have some blind spots. Jim Collins did not appraise celebrity leaders, and said most of the good-to-great leaders are self-effacing, quiet, reserved, even shy – these leaders are paradoxical blend of personal humility and professional will. I agree on his points, but not completely, because it doesn’t apply to technology companies. 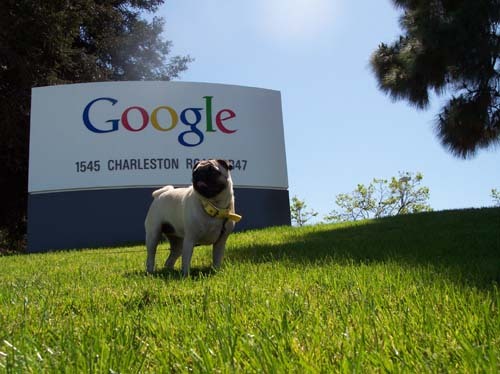 For the great technology companies like Apple, Microsoft, Google, FaceBook, and etc., their leaders are automatically made celebrities, no matter how they want to stay away from the media, or keep a very low profile life. Or frankly speaking, these great technology companies won’t exist without the invention of these celebrity leaders. And his definition of good-to-great company is narrow-mindedly based on utilitarian hypothesis, the ratio of Cumulative Stock Returns to General Market, which means the assessment of a company solely relies on the ability to generate maximum profit to the shareholders. This is the biggest flaw of the book. Because a casino or a tobacco company can easily score high according to Collins’s definition, even when they do more harm than good to society. And I don’t see any great loss to the civilization of mankind if some great companies like Coca Cola did not exist. 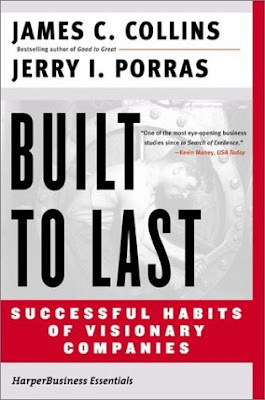 And shouldn’t we consider the not-so-successful company built by the great inventor and scientist, Thomas Alva Edison (1847-1931) should be greater than those who are given high ROI (Return On Investment) but with products that provide very little value “built-to-last” companies? Due to the fact that he keeps ignoring social responsibility, when his third bestseller, “How The Mighty Fall” was introduced during the economic crisis in 2009, I lost the appetite to own a copy. In speeches during annual dinners, most bosses by default would thank their staffs for their contributions over the years. The sincerity of the gratitude might not extend equally to the entire staffs. I’m convinced that the gratitude is given more to the knowledge workers, rather than the entire labor force. “Without your collective efforts, the company would not achieve the new height in the past year”, I almost can imagine the rhetoric of Terry Guo, the boss of Foxconn as the largest contract manufacturer in the world, when addressing his employees during the auspicious night, with the hinted underlying false sense that was overtly too loud. 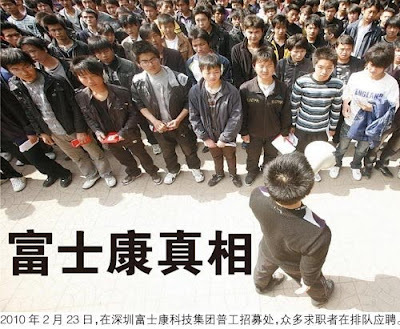 Because, 11 Foxconn’s workers took their own lives by jumping off their workplace in Shenzhen in the past four months is the satire to his Thanksgiving, and 25 year-old Sun Danyong, committed suicide after the lost of an iPhone 4G prototype during transportation to Apple last July. General investigation exposed Foxconn employees to have constantly living in dire working environment, under the pressure of stringent competing in the firm. If to compare Foxconn’s workplace with Google’s that is full of amenities and freedom, we could conclude the two extreme treatments are due to the former belongs to the labor-intensive industry, and the latter represents the knowledge-based company. Indeed we have to accept the fact that any bosses who own factories, would not hesitate to axe labors to a minimum, and boost automation to a maximum. Labors to them are merely the trivial bolts and nuts, tightening any loose ends to complete machinery cycle. The reason is apparent because unlike laborers, besides regular maintenance and mortgage repayments, machine neither utters any complaint nor launching a strike, let alone demands for higher wages or better welfare. Just like exploitation that is more susceptible at the labor level, I believe labor-intensive industry is easier to be replaced in this competitive world. I am against treating human beings like bolts and nuts; hence I have to ensure more knowledge is required to produce FingerTec products. Our factory is mainly involved in assembly works, quality control, customization and activities that elevate the value chain. And I believe more value added to a product would require more human brains, eventually would create a better working place. When we claim We Make Things Easy, we actually have a lot of hard thinking process at the back. Last night my husband came back with a pad in his hand. 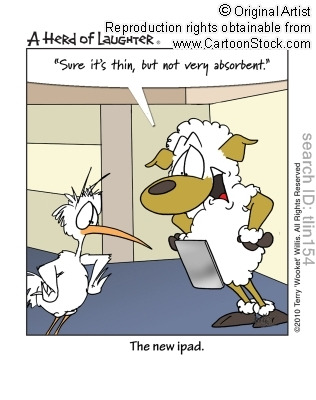 Do not cringe just yet, it’s iPad! I squealed like a little girl for a brief two seconds. How could I not? Yeah, it is a blown up version of iPod touch but it’s full of awesomeness! Using the same iTunes, I quickly sync my applications into iPad. Love the way they do iBooks, easy to download, easy to read and it is visually stunning, the book on iBooks I mean and the iPad of course! Unfortunately, they do not yet have their iBookstore to sell good titles to iPad users. I’m sure a group of people is living on coffee and nicotine to get the store set up and launch while iPad is still the hot topic of the gadget-craze urbanites. I went to Kobo store instead and bought a couple of ebook titles and the experience was simply amazing! There was a time 10 years back when we (as part of the group) were interested in the ebook business but the interest turned stale after encountering countless hurdles and inconveniences. Though the development of ebook improves a lot since then, iPad and Kindle bring the trend to another level of sophistication. I can flip my ebook like flipping the print book, and smiling while doing it. I don’t need to go to the bookstore to browse through thousands of books; I can browse, pay and read in a matter of minutes. Pretty impressive I must say. My point is, development of technology takes time but it’s the time worth waiting. Technology is awesome. It makes our life better in so many ways. I work in technology-based business. Who would have thought that your fingerprint could be used as your private key? We bumped into glitches when we first started but now, 10 years later, everybody is looking for convenience. This year, face recognition technology is making its debut. Look and go is the concept of the Face ID 2 where you do not need to touch anything and you are good to go. 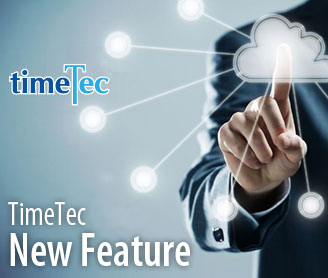 FingerTec will continue to progress in biometrics industry, providing people with conveniences. Yesterday I bought something on eBay, now I’m reading my book on iPad, tomorrow who knows what the future has in store for me. And that to me, what makes life interesting.